Even with our comprehensive CRMs, multimedia website and e-commerce tools, the industry as a whole can be better using technology to improve the customer and speed up operations. The result: your customers will leave the dealership in record time feeling delighted while your team moves inventory faster than ever before. While this might seem too good to be true, we’ve seen some promising technologies and trends that will help dealerships large and small implement tools to make car buying a simpler process. Looking back just three years ago, the dealership sales team seemed to drive the full conversation with customers. They were the one resource to talk about the right vehicle and explain which inventory was available on the lot before moving along to pricing and financing before turning over the potential buyer to the F&I manager. That may soon be changing. The average customer now enters the dealership after spending 16 hours of vehicle research according to NADA’s 2016 workforce study. Today’s customers aren’t looking to be sold on safety ratings or learn which make and model suits their lifestyle. They’re more interested in getting a demonstration on Apple CarPlay, learning about lane detection, or seeing the wealth of other technology that today’s vehicles come armed with. 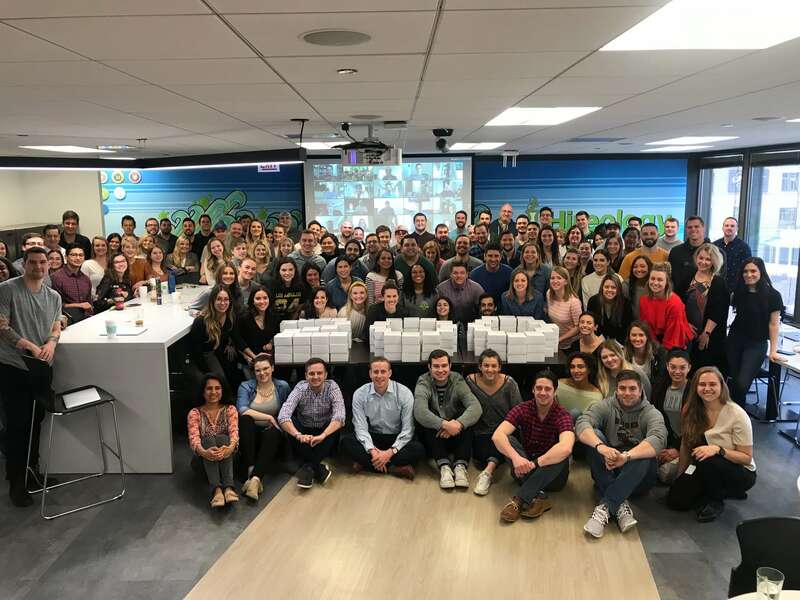 Top dealerships have already gotten ahead of this trend by transitioning sales teams toward product specialist roles: transforming dealerships floor employees to resemble Apple Geniuses more than the stereotypical car salesperson. On the financing side, new online tools from fintech companies are dramatically speeding pu the approval process. At NADA100, we saw new vendors like CarBiz arming dealers with the tools to plug in financing tools directly into your customer website. With this new platform, the consumer still sees vehicle description pages posted online, and now has the option to purchase online by answering a few finance questions to begin the car buying process. 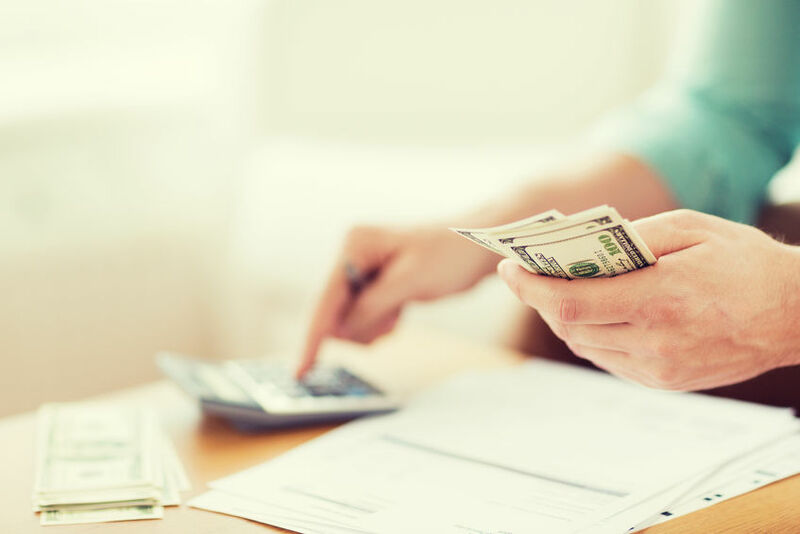 These platforms will get financial data from your customer, calculate a loan amount, and even adjust the monthly payments into an affordable plan directly on your website. Once approved, a customer can even browse through your inventory to see the vehicles that match their taste and are within their budget – and they can do all of this from the comfort of their home. They’ll still stop into the dealership to answer any lingering questions, get a test drive, and get the keys even faster thanks to the pre-approval. This is a huge upswing for both the customer and the dealer: your guests will realize a quicker car buying process, and your sales team will be able to manage more sales per rep: moving more inventory and increasing their monthly sales. 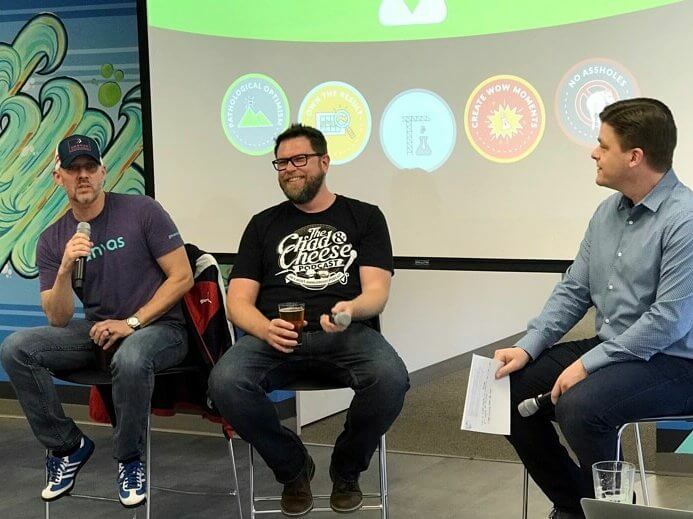 While this is a new way to manage the financing discussion that’s only happening at a handful of dealers, the easy integration and benefit to the consumer make this a technology we see as being incredibly widespread by the end of the year. And with the interest we saw with these vendors at this year’s NADA, this technology could be adapted with dealers across the country even sooner. Shortly after the iPad debuted in 2011, dealerships were springing at the chance to mobilize their sales team. While this was ambitious, most dealers agree it was premature, as the software and CRM systems available at the time didn’t present a good experience or save anyone time. Today, the apps have finally caught up with consumer and dealership needs, and we’re seeing the resurgence of the tablet to delight the car buyer while keeping the dealership operations running smoothly. A great example of this is a pilot program Honda is testing at select U.S. dealerships, relying on tablet technology to drive the customer experience. Armed only with an iPad, a member of Honda’s pilot team can greet guests and learn about their needs. If the guest has vehicle questions, they can do research and get guided through an interactive feature demo on the iPad. If the guest would instead want to jump right to the test drive, the rep can walk them to a car, and using RFID technology between the iPad and vehicle, unlock the doors and begin the ride. The iPad is in constant contact with the dealer’s CRM, and knows that the Experience Lead is conducting a test drive. All of this happens behind the scenes allowing the customer to be in control of the entire experience. This allows guests to shop at their own pace, removing the pressure traditionally associated with the car buying experience. Beyond this, Honda is pushing for more transparent pricing to remove additional friction from the dealership process. While some dealerships may worry that customers will simply pick the lowest price among locally-posted competitors, Honda is positioning the opportunity to sell the experience, not the vehicle. Between sophisticated CRM integrations, tablet technology, and exciting new vehicle features, technology has never been as important to the car buying process. Beyond basic vehicle education, dealers should look and see how technology can improve the car buying process and internal operations. It’s no secret that customers hate the hours-long car buying process: And dealers everywhere are looking for ways to move inventory faster than ever. Technology allows for both of these things to happen, driving more profits while creating a better car buying process for customers. Pricing and inventory management are important and will always be, but dealerships that design a better customer experience will set themselves ahead of the pack to differentiate themselves. As dealerships who recently transitioned from a traditional sales model to a product specialist-led showroom floor know, dramatic changes to dealership operations take time. The shift to more a technology-driven dealership will only accelerate as technology and software mature. The best dealerships will jump on this opportunity, but it’ll take a new kind of specialist to make this transition a success. We’ve seen dealerships make the transition to product specialists, shifting the customer discussion from a simple sales negotiation to a dedicated experience guide focusing on providing the best experience possible. Technology is about to drive substantial innovation for the dealership customer experience. For decades, the sales process has been a linear road with plenty of stoplights – representing the customer friction and painful car buying process. Today, technology is helping us transform those stoplights into roundabouts: customers can come and go as they please at any point in the process without slowing down. Your dealership will need a new kind of sales driver to enable this new model: the product specialist to serve as the customer advocate. We’ve seen many dealerships already having incredible success shifting to this model. Learn how the best dealerships are using our hiring technology to build a team that’s capable of using the latest dealership technology today and beyond. 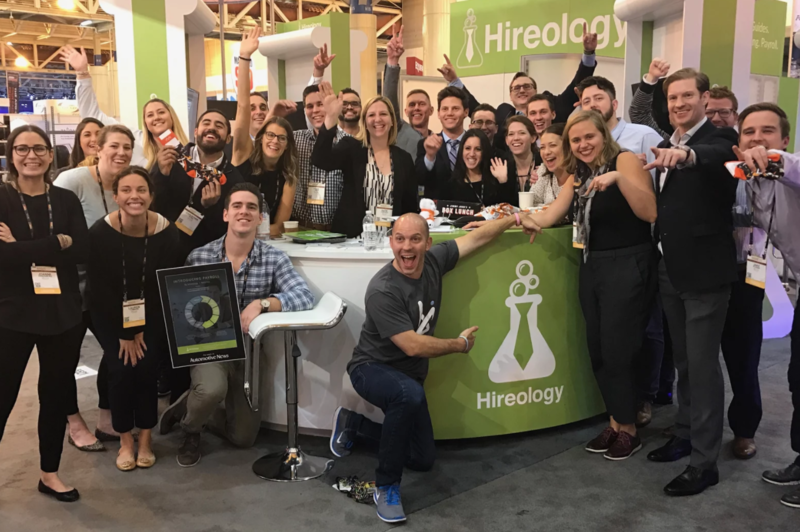 PrevPreviousNADA100 just ended this weekend and Hireology had a blast in New Orleans!